People in many countries on five continents of the Earth are involved in dog training. To learn whose dog is the best, they take part in competitions. But not every kind of activity where competitions are held is sport. Are the competitions with dogs real sport? Most of them – of course. Why? A person experiences significant physical and emotional loading, when training the dog, a really sports spirit reigns on the competitions, and results are expressed in linear and time measures etc. But if a kind of sport appears, people begin to unite for joint organization of the competitions – on the local, national and at last on the international level. As a result, international sports organizations (federations, unions, associations) are appearing for holding competitions on the international level and development of sports cooperation between different countries. Sport with dog, well-known as “cynological sport”, is not an exception. 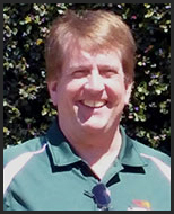 Since there was not any uniting international sports organization for most of kinds of sport with dogs, work on creating of such organization started in 1999. 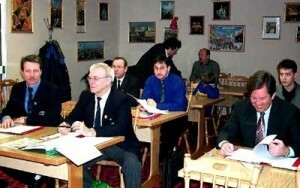 In 2000 International Federation of Cynological Sports (IFCS) was founded on initiative of national sports cynological federations of Russia and Ukraine to unite sports cynological organizations of different countries for joint holding of official international championships and for integration of sports with dogs into international sports system and Olympic movement. IFCS has united such kinds of sports with dogs as agility, working dogs competitions (obedience, protection dogs competitions etc. ), combined competitions with dogs and many others. On the 19-20th of February 2001 the First International Cynological Sports Conference was held in Moscow. In the conference took part the leaders of the national sports organizations of Latvia, Russia, Sweden, Ukraine and USA. The conference declared course on the integration to the international Olympic movement and approved the Resolution of the conference and the Declaration of the International Sports cynological movement, which formulated it’s basic principles. On the meeting of the working dogs section during the conference the delegations have discussed ways of development of this direction of dogsport activity. Swedish delegation has informed participants of the conference about activity of Swedish Working Dogs Association in this sphere. Representatives of Russian ministries, which are using dogs in its activity (Ministry of Defense, Ministry of Interior, Ministry of Rescue and Ministry of Justice), also took part in the meeting of the working dog section of the conference. On the meeting of the agility section during the conference the decision to hold the First IFCS World Agility Championship in Moscow was made. The Declaration of the International Sports Cynological Movement (ISCM) was unanimously approved by all participants of the Conference. At present the Declaration is signed by twelve countries from four continents. The text of the Declaration of the International Sports Cynological Movement you can find here.